The Edition No. 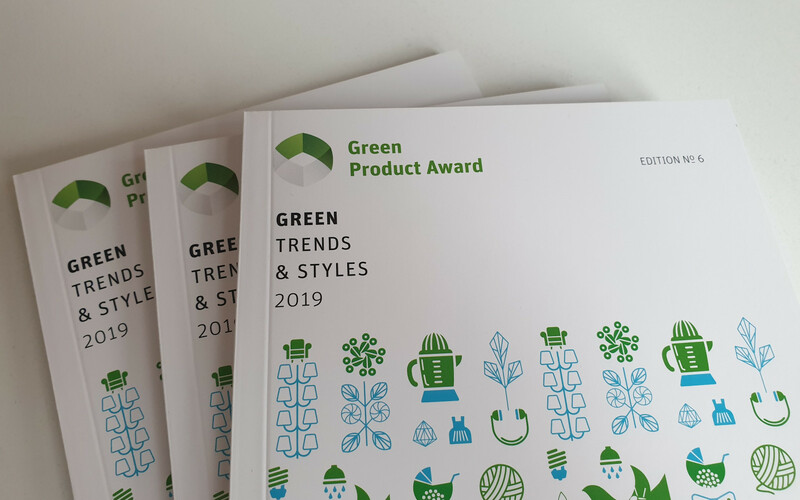 6 of the Green Product Awards presents the Green Styles & Trends 2019. The best green products can be found in 14 different categories, from the kitchen to the office to the fashion room to architecture. Not only established companies and designers present their inventiveness, but also students and young designers submitted innovative concepts. The submissions were judged by a jury of experts from the aspects of design, sustainability and innovation and summarized on more than 100 pages. The book is aimed at consumers, designers, brands and manufacturers alike. The Green Product Award wishes you much pleasure in experiencing the future. You could also have look into the shop.